A leading highway and bridge contractor in the Midwest United States. 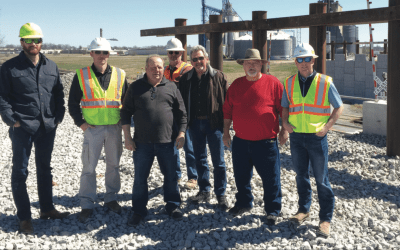 With a strong team and extensive fleet, Robertson Contractors, Inc. is committed to providing exceptional service in all aspects of construction. 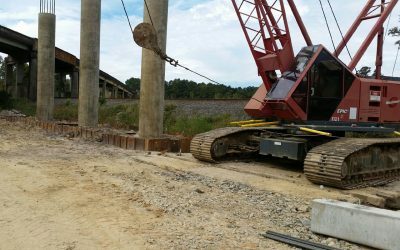 We specialize in highway and bridge construction, cofferdam and piling installation, sewer line, waterline construction and stormwater management, as well as commercial and industrial development. At Robertson Contractors, we know there is more to life than being a number within a corporate entity. That’s why we make it a priority to provide a family-owned work environment with big corporate benefits. Standard benefits for full-time employees include; health insurance, 401 (k) plans with employer match, re-location assistance for travel, and planned vacation. We believe in the importance of giving to our community and contribute to local sports teams, non-profits organizations and many other great causes and benefits. If you would like to send us a message, request a bid or start a conversation, please fill out and submit the form. We look forward to hearing from you!